What is Hypoxic-Ischemic Encephalopathy? What Causes it? A significant number of long-term disabilities that occur in newborns today is due to hypoxic-ischemic encephalopathy (HIE), sometimes called birth asphyxia. HIE occurs when babies are deprived of oxygen during the labor and delivery process. It is common where there are delivery room errors. Oxygen is necessary to sustain critical cells within the body, most notably brain cells. If the brain does not receive proper oxygenation, cell death occurs. This lack of oxygen (also known as anoxia or hypoxia) and subsequent cell death can result in mental and physical damage. The extent and seriousness of the damage depend on the length of time that the baby was deprived of oxygen. Generally speaking, the longer an infant goes without oxygen, or with decreased oxygen, the more severe and permanent the injury will be. What Are the Long-Term Outcomes of HIE? Statistics reveal that the mortality rate in severe HIE cases is about 25-50%. Up to 80% of infants that survive severe HIE develop serious complications; 10-20% develop moderately serious problems; and up to 10% are healthy. For babies with moderately-severe HIE, about 30-50% may have serious long-term problems while about 10-20% develop minor neurological issues. Brain imaging studies such as CT scans, PET scans and MRIs, blood tests electroencephalogram (EEG), ultrasounds and other medical studies help diagnose HIE and its underlying causes. What Kind of Problems Does HIE Cause? How has HIE Been Treated Previously? Traditional treatment of HIE has been supportive care. 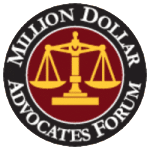 This entailed a hospital using conventional measures such as ventilation, physician support, NICU care and care from specialty physicians in an attempt to allow the baby’s body and brain to repair itself. 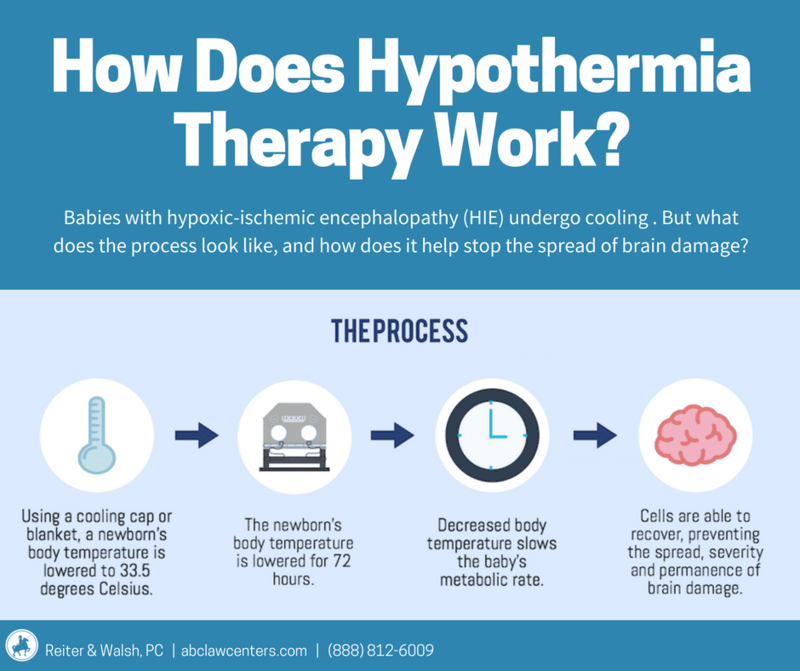 Recently, however, a new therapy called hypothermia therapy (brain cooling) has been introduced specifically for HIE and has been shown to improve the outcome of babies with birth-associated HIE by reducing the severity of neurological injury. How Does Brain Cooling Treatment Help Babies with HIE? In brain cooling therapy, a cooling cap is applied to the baby’s head. A machine circulates water through the cap at specific temperatures to ensure moderate cooling of the baby to around 91 degrees F. This is done for 72 hours and then the infant is warmed back to normal temperature. By lowering the baby’s temperature, the metabolic rate slows, allowing cell recovery over a longer period of time. This avoids further damage that can occur if normal oxygenation or blood flow is restored too quickly to injured cells. In addition to watching the baby’s temperature, neonatal staff also closely monitors respiration, heart rate, oxygenation and brain wave activity. Physicians use all of this data to determine how the baby is responding to the cooling treatment. Timing is very important when using this hypothermia treatment. The most favorable outcomes are seen when brain cooling is started as soon as possible after the birth injury occurs, preferably within 6 hours* of birth. The treatment also requires that the newborn is at least 36 weeks gestation. A recently-published study in the Journal of the American Medical Association (JAMA) suggests that hypothermia therapy may be effective 6-24 hours after birth. Laptook et al. (2017) conducted a randomized clinical trial of infants with moderate or severe HIE. 83 infants were given hypothermia therapy, while 85 were maintained at a normal body temperature (control group). The authors then followed up with these cohorts between 18 and 22 months of age. Their results were non-significant under traditional frequentist analysis, but they suggested that hypothermia therapy may still be helpful more than six hours after birth. Laptook et al. stress that further research is warranted because an improved prognosis in even a small percentage of patients could be of clinical importance due to the severity of HIE-related brain damage. Moreover, they found “no evidence of commensurate harm” – in other words, the potential benefits of administering hypothermia therapy between 6-24 hours may outweigh the costs. Brain cooling is now widely used in neonatal units throughout the United States. If you have comments about this new therapy or personal experiences, please share them below. 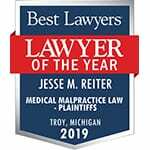 If you have been told that your baby suffered from birth asphyxia or hypoxic-ischemic encephalopathy, the birth injury attorneys at Reiter & Walsh ABC Law Centers can help. We are available to answer any questions you may have and to offer advice on whether the injury was preventable.